This is the first post in my yearlong series of writing explorations geared toward helping myself and other writers engage with the writing craft, adhere to a schedule, and enliven the writing mind. I realized I have many tips and tricks I’ve tried and enjoyed over the years, prompts that have pulled me from the mire when I felt stuck or discouraged in the writing process. When I use one of these tactics, it provides a jumpstart and nudges me in the direction of writing again, so that I desire again that rush of stepping into the frightening, shadowy, yet exciting recess of the blank page. The problem for me is often simply the rut, the attitude that my life is too chaotic or busy for me to make time to be creative. I forget that I have all these tactics and icebreakers available. Then, when I don’t make time, I just feel worse. So, as a challenge that I hope will help other writers as well as myself, I hereby present 365 days of writing prompts and inspiration. If you or I ever find ourselves in that dark, desperate place of uncertainty and self-doubt again – and we will! – we’ll have a place to turn, guideposts leading back to the page, back to the moment, back to the words that spill out like blood. 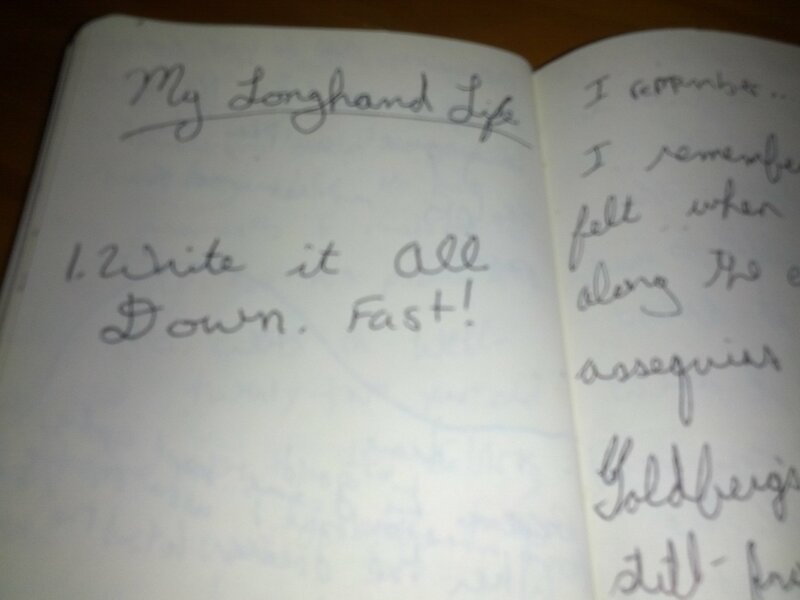 Day #1: Write it all down! Fast! No editing, no time to listen to the inner critic. Set a timer for ten minutes and go as deeply as you can into the story or character or scene your trying to develop. Use all your senses and emotions, and be willing to risk everything in your writing. Don’t stop or lift your hand from the paper. It’s only a first draft, so don’t judge, just write. Be daring and risky; no one’s watching or reading over your shoulder. At about minute five, I usually realized I’ve cut through all the shallow descriptions and tedious details and gotten to something deeper.